Prompts are everywhere. We just have to be able to spot them and know how to use them. Take receipts, for instance. 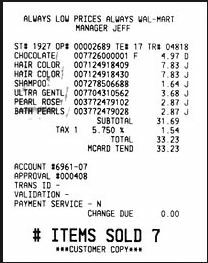 Ever pick up a random receipt someone left in a shopping cart or tossed away and give it a close look? You should. What did this stranger buy? What time of day or night was it? 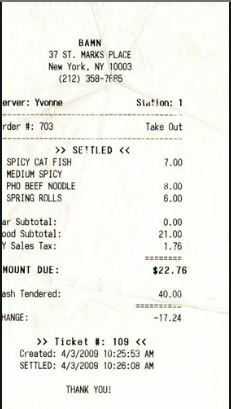 Did they pay cash or charge it? 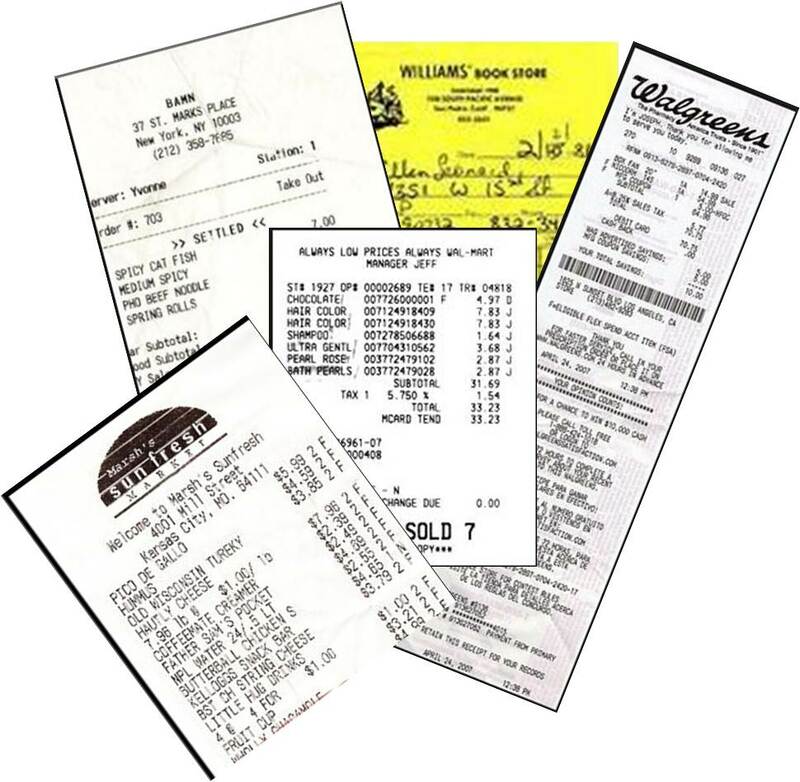 For a writing group prompt, I collected receipts from all sorts of places — grocery and department stores, bookstores, gas stations…. then handed them out randomly to members of the writing group, set the timer for ten minutes and bam! Away we went, writing whateverthe receipts brought to mind. And the results were — as usual with this group — amazing. You don’t need a writing group to do this — just gather receipts when you find them in good condition (ignore the ones in parking lots that have been trampled over… nobody wants cooties…! ), stuff them in a pocket for writing time, then pull one out to get your creativity flowing. Stuck in a current project? Wondering what move a character should make next? 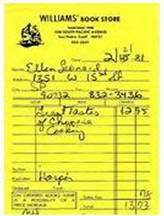 Use that receipt as a way to get your brain moving in another direction: What if the character goes someplace where they’d get this receipt? *What did they purchase? Why? *Is this part of a normal routine? If so, did they vary the routine? Why? *Was it a good idea for them to do this? Why or why not? *Did they make any other stops? What were they? why did they make those stops? *Did they bump into anybody at this place or somewhere along the way? If so, did that person influence what they bought? In what way? Why? Can you see how this can lead you in a lot of directions? Well? What are you waiting for! Go find a receipt! Okay… here are a couple to get you started….